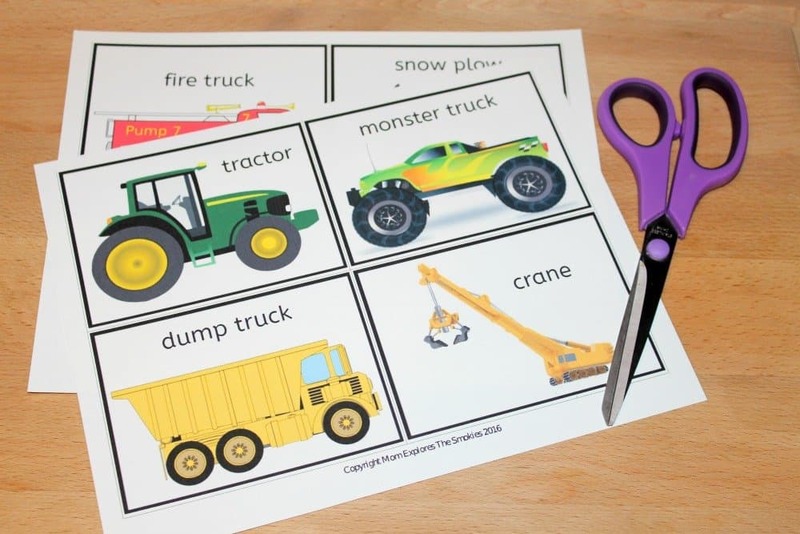 This bright and colorful truck puzzles printable is perfect for young learners. The puzzles can be customized for various difficulty levels, and are based on the book “Where Do Diggers Sleep at Night?,” by Brianna Sayres. This book is so cute! We read it as part of the Mom Explores Bi-Weekly Book Club. It ponders the night time routines of all kinds of trucks, by personifying them in the form of children. Do trucks beg for water before going to bed? Do they ask their moms for just 1 more story? These questions set your child’s imagination on a wonderful and silly journey into the secret life of rough and tumble trucks. We loved “Where Do Diggers Sleep at Night”! 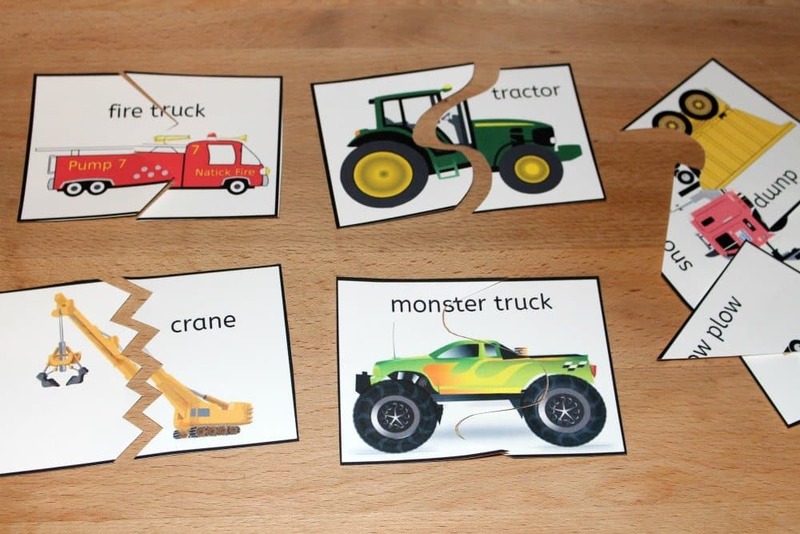 Print the puzzles and cut out the truck boxes. Then, cut the cards into sections to form a puzzle. For beginners, you can just cut the cards in half using squiggles or wavy lines. For kids who are more advanced, you can cut the cards into 3 or 4 pieces. Due to the size of the cards, I probably wouldn’t go higher than 6 pieces. After you have your puzzle pieces cut the way you want, mix up the pieces. For beginners, you may want to only mix up 1 or 2 puzzles at a time. For more advanced learners, you can probably mix all 6 together at once. Then, have your child dig through the pile and find the necessary pieces to assemble the puzzles. Continue until all the puzzles are complete. Happy learning! If you’d rather not go the free route, you can also purchase this truck printable from our store for .99 cents. Which ever option you choose, we thank you for supporting our small business!